James Hal Heafner a/k/a Jim Heafner (CRD#: 4837072, Charlotte, North Carolina) is an ex-Taylor Capital Management Inc. (now known as TCM Securities, Inc.) broker, and president of Heafner Financial Solutions, whose sales practices have come under fire lately. Heafner, who has appeared on TV stations including WSOC, WCNC and WBTV, faces claims of bad investment recommendations while working at those firms. Specifically, the Financial Industry Regulatory Authority (“FINRA”) reports that at least three customers contested his sales practices. A customer of TCM Securities brought a FINRA Arbitration #19-00350 on February 4, 2019. Supposedly, Heafner made unreasonable and unsuitable recommendations to the customer about 1st Global Capital, LLC Notes. Allegedly, Heafner advised the customer to buy $100,000.00 in those Notes, which was not appropriate. Additionally, the customer claimed that Heafner breached his fiduciary responsibility to the customer, and violated the terms of an investment agreement. Apparently, Heafner’s purported negligence contributed towards the customer’s losses. Also, the customer contended that TCM Securities did not supervise Heafner as it should. As a result, the customer demanded $100,000.00 in addition to unspecified punitive damages in this pending matter. Also, a TCM Securities Inc. customer filed FINRA Arbitration #18-03791 on December 12, 2018. Mainly, the customer claimed that on September 29, 2017, Heafner told the customer to invest in 1st Global Capital, LLC Memorandum of Indebtedness instruments. Allegedly, Heafner advised the customer to buy the 1st Global Capital, LLC debt instruments through an outside business activity. The customer claimed that TCM Securities Inc. failed to uphold its duty to supervise Heafner’s investment recommendations and activities. Because of this, the customer seeks $268,015.79 in damages. However, Heafner denies the customer’s allegations in this ongoing matter. FINRA BrokerCheck shows that another TCM Securities, Inc. customer filed FINRA Arbitration #18-03960 on November 16, 2018. Allegedly, Heafner made problematic and unsuitable 1st Global Capital, LLC investment recommendations. Supposedly, Heafner’s unregistered security recommendation did not match the customer’s investment objectives. Secondly, the customer claimed that TCM Securities did not properly monitor Heafner’s activities, which contributed towards the customer’s losses. Currently, this matter is unresolved. If you have experienced losses by investing with TCM Capital Management Inc. broker Jim Heafner, contact Soreide Law Group at (888) 760-6552 and speak with experienced counsel about a possible recovery of your investment losses. 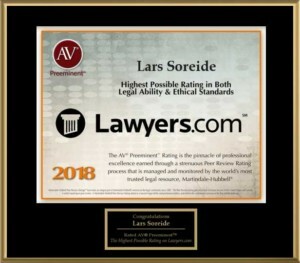 Soreide Law Group represent clients on a contingency fee basis and advances all costs. The firm has recovered millions of dollars for investors who have suffered losses due to misconduct of brokers and brokerage firms.